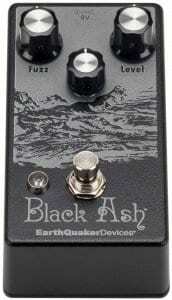 EarthQuaker Devices Black Ash Endangered Fuzz – A rare bird? 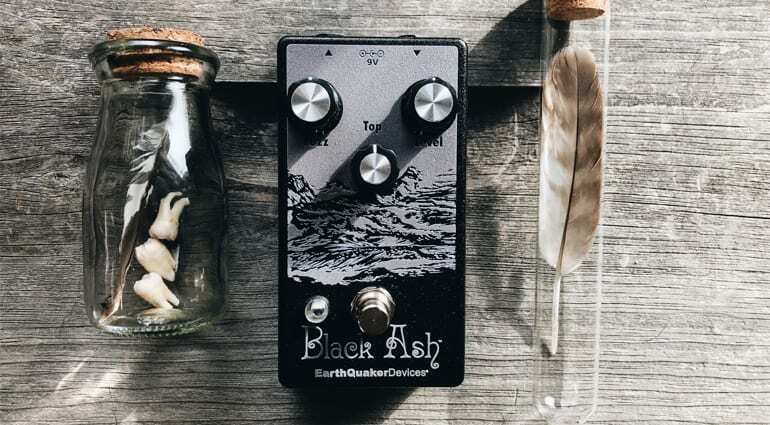 The new EarthQuaker Devices Black Ash Endangered Fuzz is their take on the classic Tone Bender fuzz/boost circuit and comes in a much smaller, more pedalboard-friendly form that the ol’ Bender ever did! 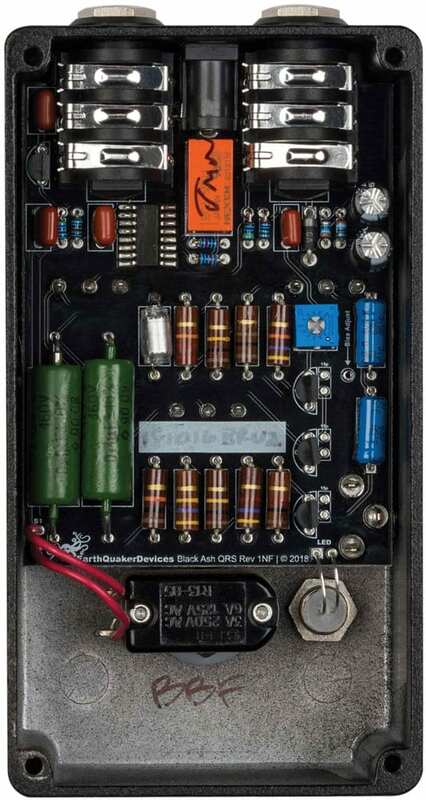 This take on the Tone Bender circuit has three controls, Volume, Fuzz and Top. With the Top control, you can adjust frequencies between 2kHz and 10kHz, which you can use to tweak the pedal for use with different pickup types. 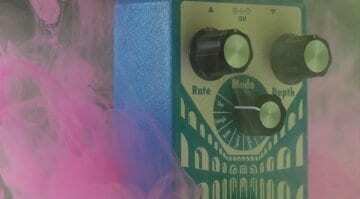 EarthQuaker Devices allude on their website that this pedal could be, a rare bird. This is because they will be using high-quality, ‘highly curated’ stash of irreplaceable components including PIO (paper-in-oil) capacitors and NOS (New Old Stock) half-watt carbon composition resistors. Essentially, the Black Ash Endangered Fuzz will be not something that EarthQuaker Devices can build indefinitely, so expect the run to include around 1500 units worldwide. I’m sure that many fuzz connoisseurs, will love this pedal. 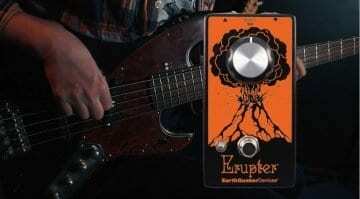 This could mean that it will sell out quickly, as you tend to find pedal companies with the calibre of EarthQuaker Devices have a cult following among many guitarists. I’m inclined to say that this is certainly a fuzz pedal that should be on your radar, especially if you love a good dirt box. Yes, with fuzz pedals this is certainly the case. 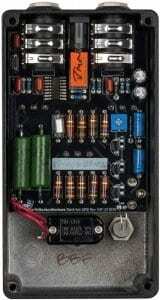 As a good fuzz is usually a relatively simple circuit, yet you will pay a premium for good quality parts. 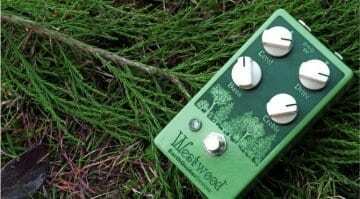 I’m actually surprised how well priced this is for a boutique fuzz, especially as they are using a stash of quality parts to build them. You’ll want to check out the demo video below, and they also have a series of great audio clips on their main site as well. 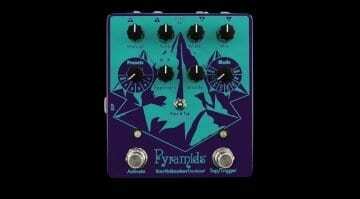 EarthQuaker Devices Pyramids stereo flanger: Eight Flangers in one!